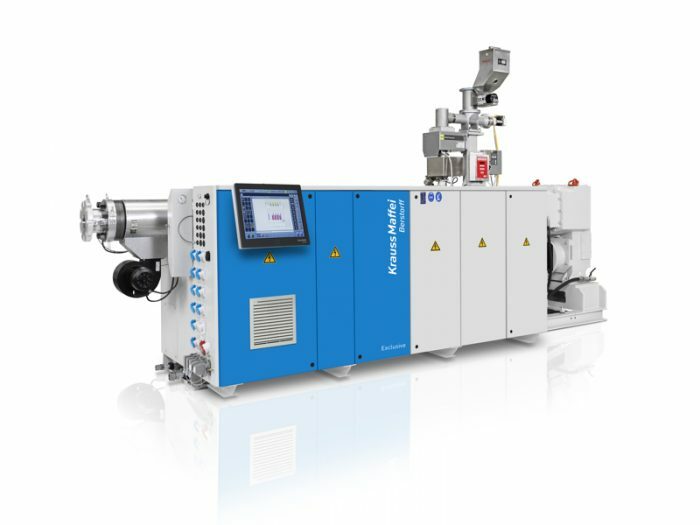 Adopen Plastic and Industrial Construction Inc. Co., one of the leading profile manufacturers in Turkey (headquartered in Antalya) placed another large order for more than 16 profile extruders. The machines were delivered in various slots over the past months and will soon go into operation in Antalya. “We are very proud of and excited about another large order from our longtime, faithful customer, Adopen,” says Andreas Kessler, General Sales Manager at KraussMaffei Berstorff Munich. “The company is now expanding its impressive machine pool of nearly 100 systems by adding another 16 profiling machines, which will be used in producing classic PVC window and exclusive profiles,” Kessler explains. The current order includes 12 KMD 90-32/P series twin-screw extruders, a KMD 75-32/P and three KMD 63 K/P conical twin-screw extruders. “Along with the high performance capacity of the machines comes the excellent product quality we attain in extremely flexible and cost-effective production,” Mr Emre Aksoy, Chief Production Officer at Ado Group says. Founded in 1997, the company first concentrated on the domestic market. After a short time, Adopen established itself as a leading window profile manufacturer with international activities and production facilities in five different countries. In addition to the classic PVC window profile, the portfolio includes additional products such as sheets, laminate flooring or natural fiber-reinforced plastics. The company employs 3000 people worldwide. For more information, please visit http://www.kraussmaffeiberstorff.com.